For the people of Mumbai, October and November are the months of Diwali, the festival of sound and light, as well as for Tata Literature Live! The Mumbai LitFest, the festival of words and ideas (and much light and occasional raucous sound). This is the eighth year of Mumbai`s international literary festival. In these few years, much has changed in India`s literary world. Almost every international publisher has set up office in the country, and new writers spring from everywhere now that the possibility of seeing their manuscripts in print has increased dramatically. Keeping pace with this is the proliferation (or is the right word ‘eruption’?) of literary festivals all over India. This year, I am told, there are four others running simultaneously with ours. This literary flowering can only be good for readers and writers. We are happy to do our bit. We are told, by kindly friends and even kindlier participants, that we do our bit quite well. One overseas writer went so far as to say that ours in one of the best festivals in the world. We aren`t in a hurry to contradict her. Judge for yourself in the coming four days. 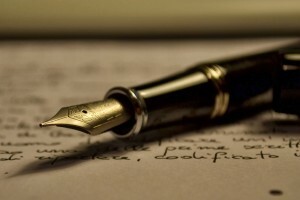 There`s a terrific array of writers lined up, brilliant writers covering a wide range of human thought: there’s fiction and poetry, of course, but there are discussions on subjects like economics, politics, social issues, concepts of nationalism and of god, and even topics dealing with science . When I see a list of participants like ours, I wish sometimes that I wasn`t an organiser, but part of the audience, eagerly queuing up for a place inside. You might, of course, say I am lucky that I can just walk in into any session, but I can`t remember the last time I wasn`t pulled out to deal with something or the other. But in the end it`s all worthwhile: our audience expands every year, and a sure sign of that is the early clamour for the programme from places like Ahmedabad, Vadodara, Delhi and Bangalore. Mumbai`s festival is obviously becoming India`s literary festival. This year`s line-up has nearly 150 participants and performers, of which a third come from overseas, representing 17 countries. That it is possible to hold an event of this size, and make it a free festival open to all, can only be possible through the generosity of sponsors. The Tata group of companies champion culture and the arts through the year and throughout the country, and the Literature Live! And Tata partnership is indeed an exceedingly happy one. The National Centre for Performing Arts is the jewel of this city, and the envy of all others. For the festival, NCPA is far more than a venue; it`s a vital support system in every which way. In addition, the sterling support of the Aditya Birla group, the JSW group and LIC, is a vital component of the litfest, as is the warm hospitality provided by the Taj group of hotels. Finally, an endeavour of this scale has to be a team effort. You will see team members at the venues and on the following pages. For each one of them, as it is for me, Tata Literature Live! The Mumbai LitFest is a true labour of love. Does it get easier every year? Friends ask as our litfest draws closer. The answer is an emphatic no. The only year it was different was the first, because for all of us in the team, this was unknown territory. Our naivete led us to dream some impossible dreams, but by the second year, all of us, now veterans in organising an international literary festival, were wiser. 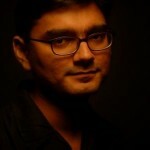 Anil Dharker is a Mumbai-based writer and columnist. At various stages in his life, he has been an engineer on the academic staff of the University of Glasgow, a consultant in a Mumbai architectural firm, a film critic and censor, a promoter of New Cinema with the National Film Development Corporation and an editor successively, ofDebonair, Mid-Day and Sunday Mid-Day, The Independent,and The Illustrated Weekly of India. Dharker has worked in television as producer and anchor, as well as head of a news television channel, then poised for takeoff. He was also, briefly, creative director of the Zee Television network. He is still remembered for his long stint as TV critic at The Sunday Observer, where readers, viewers, producers, Doordarshan directors-general and ministers found his column the one they loved to hate. These were reprinted in an anthology by HarperCollins titled Sorry Not Ready:Television in the Time of PMdarshan. Dharker has written a coffee-table book on Goa; a biography of industrialist OP Jindal, The Man Who Talked To Machines; and a book on Mahatma Gandhi’s Dandi March, The Romance Of Salt. Recently, he brought out an anthology, Icons: The Men & Women Who Shaped Today’s India. 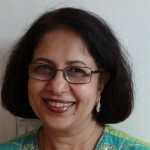 Shashi Baliga is an independent journalist and media trainer. Her last assignment was as Editor, Sunday Features with the Hindustan Times, Mumbai. 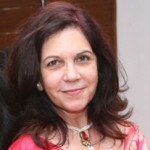 She has also been Editor of Filmfare magazine, worked with The Independent and The Metropolis on Saturday papers and Femina and Savvy magazines. She lectures on journalism at the Xavier Institute of Communication and SPICE in Mumbai. She has contributed a chapter to A Book of Light, edited by Jerry Pinto – a collection of personal accounts of living with a loved one with mental illness. Q is a theatreholic. A director, producer, trainer and, most importantly, avid watcher of all things theatrical. 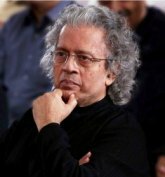 In the past he has been curator of the theatre section for the Kala Ghoda Festival, Prithvi Festival platforms and the Mumbai Theatre Utsav. Internationally he has worked on Tim Supple’s critically acclaimed A Midsummer Night’s Dream, Toby Gough’s smash hit The Merchants of Bollywood and most recently, the aerial drama Mind Walking. In Bombay his plays Project S.t.r.i.p. and Khatijabai of Karmali Terrace have been running for many years. Amy Fernandes is Editorial Director with Jade, a monthly South-centric lifestyle magazine. 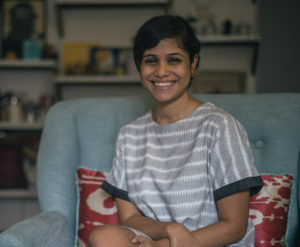 She considers herself a ‘magazine’ person, having created, conceptualised and edited as many as five different target audience magazines at one time: Time N’ Style, It’s a Guy Thing, Femina Sri Lanka, Femina Allure and Kidzone.She was Editor of Femina after which she left to set up her own content development outfit. Antoine Lewis is a Food & Wine writer and columnist. His love of good food is matched by his love for digging into the origins of dishes and the cultural practices and histories that shape what we eat and why. 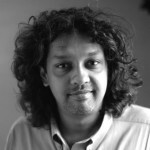 Apart from being a regular contributor to a variety of national and international newspapers, magazines and websites he has been the Editor of Savvy Cookbook, Food & Drink Editor, Paprika Media and Editor of burrp.com. Dr Vinod Kumar Budhiraja I.T.S is an independent telecom professional who has been employed in both the public and private sector in India and abroad. Over his long career he has been General Manager of MTNL; General Manager Telecom, Kashmir; a member of the Executive Committee of Association of Business Communication of India (ABCI) and the Chairman of the Public Relations Society of India, Bombay Chapter (PRSI). 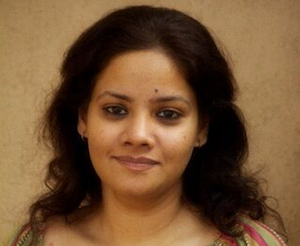 A lecturer by profession Reena is Visiting faculty teaching Sociology to Mass Media students in Mumbai. 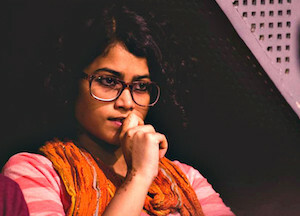 Tanvi Kanchan has been a part of Literature Live! since 2014. Having previously written for Rolling Stone India, DNA YA! and the Times of India NIE, she is currently studying Mass Media in Mumbai. Her interests include anything to do with the written or spoken word, music, and doing things that intimidate her. As an arts consultant since 2002, Tasneem has drawn on her arts administrative experience to provide strategies that have empowered various contemporary artists from India to advance their careers locally and internationally. As a senior arts lead at British council for 10 years, she has developed knowledge, networks and expertise in the cultural and creative economy space along with developing strong relations with corporate and government funding agencies. Aside from being a part of the Literature live! Team, Tasneem also consults with arts organisations on their strategies and curation of content. Neysa Mendes is happiest working with the creative arts. She started out with theatre, but has since spent most of her career working with the music industry, from the beginning of its revolution here in India. She’s managed artists, run a record label, strategised launches and in 2010, she founded the first publicity company focussed on music and the independent arts. She continues to consult with the music industry and arts-driven organisations.